Jogfalls is one of the most frequented holiday as well as tourist spots in Karnataka for its majestic waterfalls and natural scenic beauty. The town is along the river Sharavathi, situated in the heart of the jungles in the Western Ghats, 66 kilometers from Shimoga, and 21 kilometers from Sagar. Associated with the waterfalls is the nearby Linganmakki Dam across the river Sharavathi. The power station has been in operation since 1948, one of the largest hydroelectric stations in India at the time and a source of electric power supply for Karnataka today. A large number of people had settled in Kargal, a nearby township and many of them were employed as labourers. 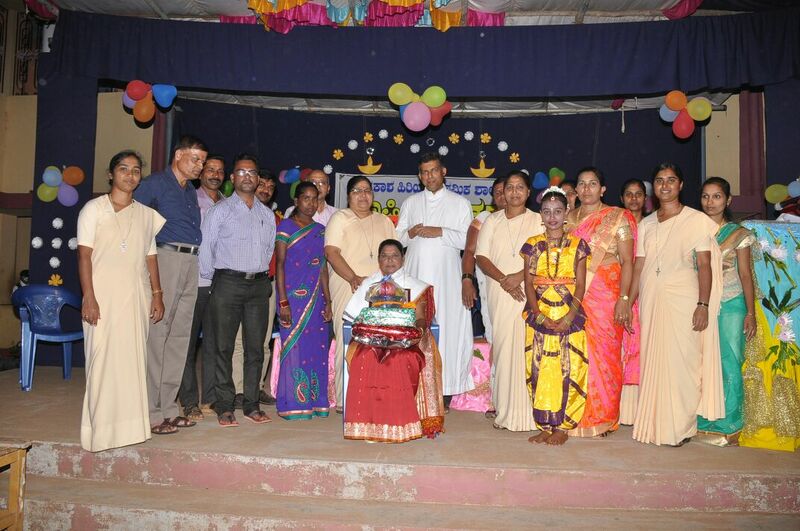 Fr Joe Mary Lobo, the parish priest of Jogfalls persuaded Bishop Alphonse Mathias of Chikmagalur to invite the Ursuline Franciscan Sisters to Jogfalls to attend to the spiritual as well as educational needs of the people. Sisters Millicent, Redempta and Irene Albuquerque started their mission on November 23, 1965. They resided in a transit house of the Power Project. 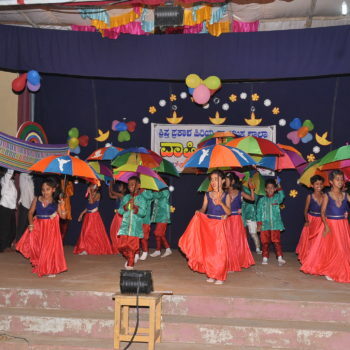 Christa Prakash School was started in the year 1967 at Kargal as the Power Project workers were concentrated in Kargal. The parish hall was used for taking classes. 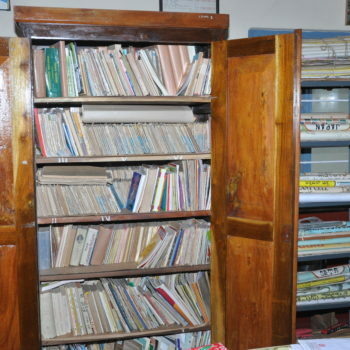 Sr. Millicent Pinto the first headmistress worked in getting departmental permission for a formal school which she succeeded in obtaining in the year 1968. 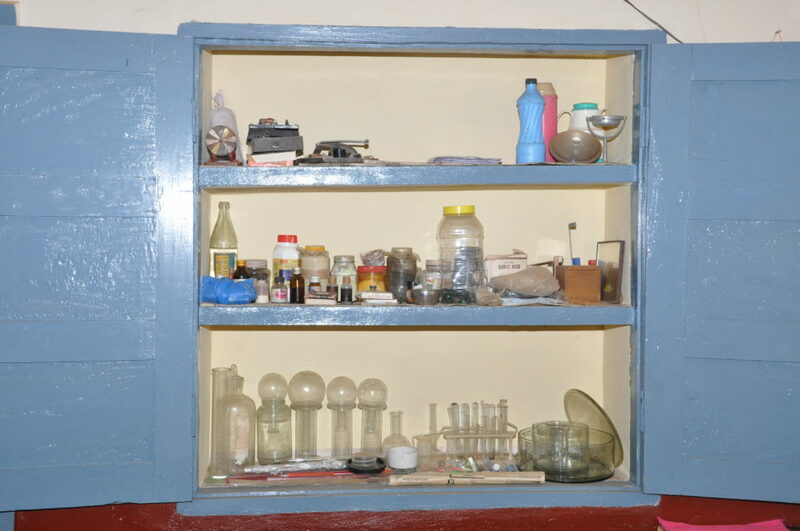 As the migrant workers at Kargal vacated the place in 1970 on the completion of the Project, the Sisters were shifted to Jogfalls and managed to procure a rent-free house from the Power Project. 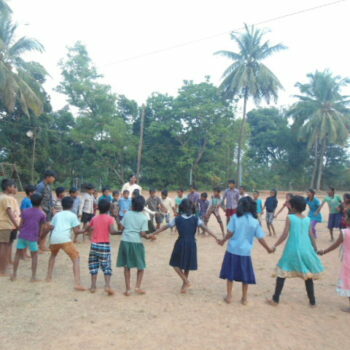 The school at Kargal was shifted to Jogfalls as well. The School excelled under the able leadership of the headmistresses in particular Sr. Millicent (1967-77, 1981-82) Sr. Christine D’Souza (1977-81), Sr. Clarita D’Mello (1982-88), Sr. Hildeguarde Rasquinha (1988-93), Sr Benvita D’Souza (1993-99), Sr. Monthi Lobo (1999-2005) and Sr. Carmella D’Souza (2005-11) At present SrJovita Vas is the headmistress of the School. 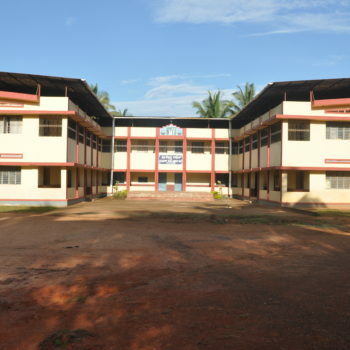 4,090 students have successfully completed their studies in this school. Most of them have moved out of Jogfalls for better prospects. 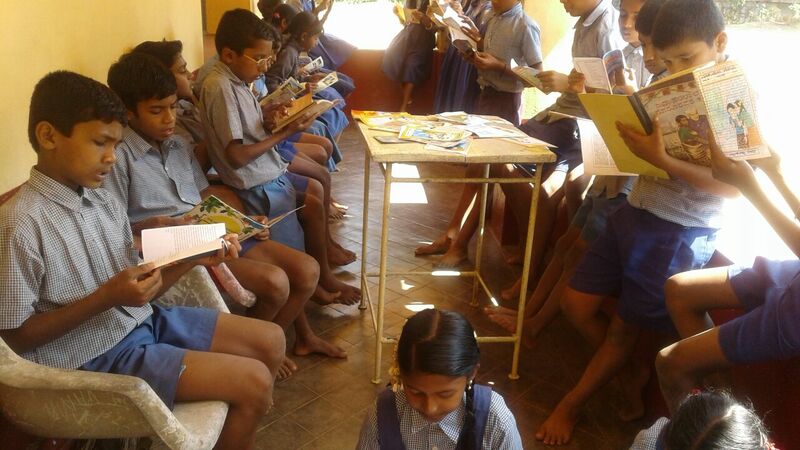 160 students are getting educated now in Christa Prakash School. 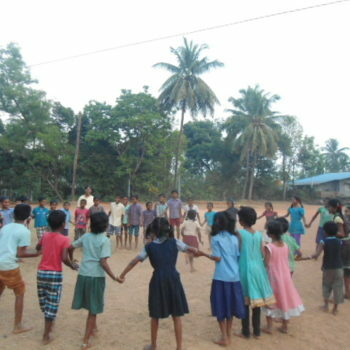 The Sisters have provided accommodation to 50 students from distant villages. 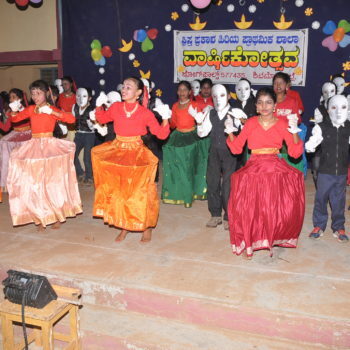 Good rapport between the Karnataka Power Corporation and the School is maintained. Christa Prakash has indeed been a ray of hope to the people of Jogfalls. 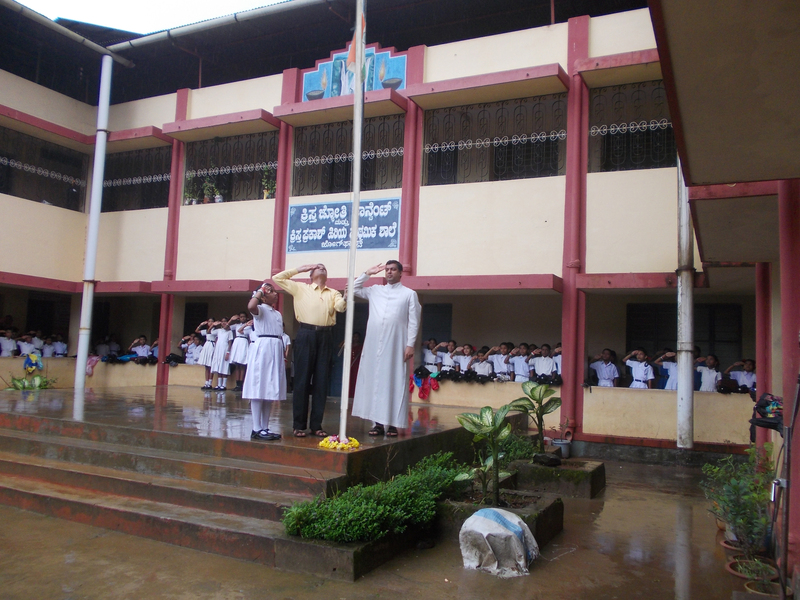 Sr Jovita Jacintha Vas hails from Kelarai, Mangalore in Dakshina Kannada. She completed her High School studies in Amruthlalji High School, Kelarai and did her Pre University College studies under Madras University. She obtained Degree in Bachelor in Arts (B.A.) and Master in Arts (M.A.) under Mysore University. 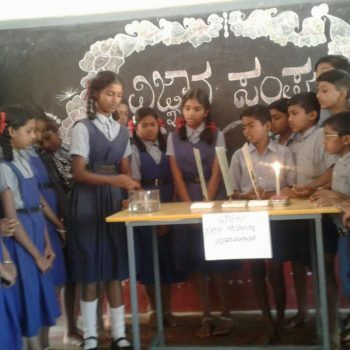 She obtained her Teacher’s Certificate in Higher Examination (T.C.H) in Sacred Heart Jaya Nagar, Bangalore and Bachelor in Education (B.Ed) in St. Joseph’s College of Education, Mysore. She updated herself attending several courses and seminars. 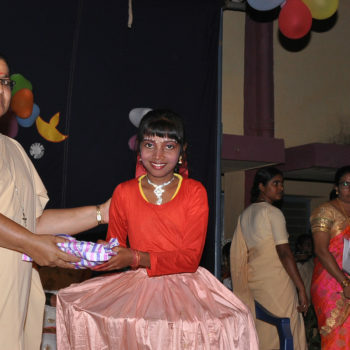 She has obtained certificates in Leadership, ITP in Kerala, and Spirituality in FISI ,Bangalore. 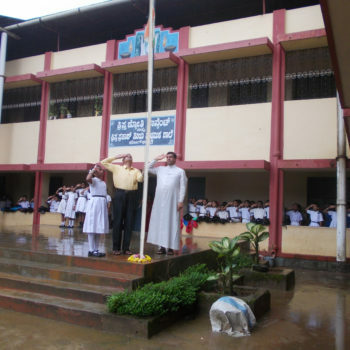 Sr. Jovita Jacintha Vas served as a teacher in St. Ann’s School, Thottam, Udupi, Nirmala chool, Doddagajanur, St. Antony School, Suntikoppa and Christha Prabha School, Jayapura . 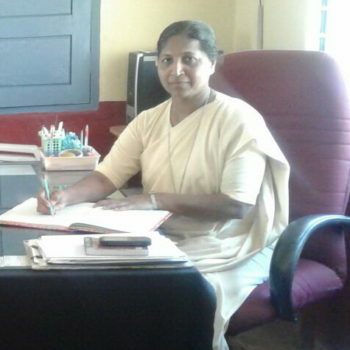 At present she is the Headmistress of Christha Prakash Higher Primary School, Jogfalls from the year 2012. 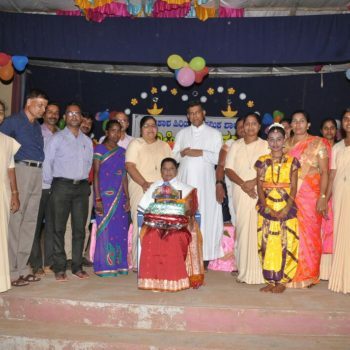 Fr Joe Mary Lobo, the parish priest of Jogfalls persuaded Bishop Alphonse Mathias of Chikmagalur to invite the Ursuline Franciscan Sisters to Jogfalls to attend to the spiritual as well as educational needs of the people. Sisters Millicent, Redempta and Irene Albuquerque started their mission on November 23, 1965. They resided in a transit house of the Power Project. 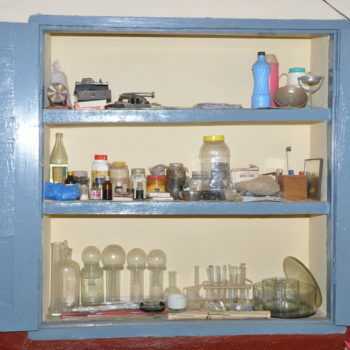 Without wasting any time they undertook educational, pastoral, medical and social development works at Kargal, a town located seven kilometers from Jogfalls. 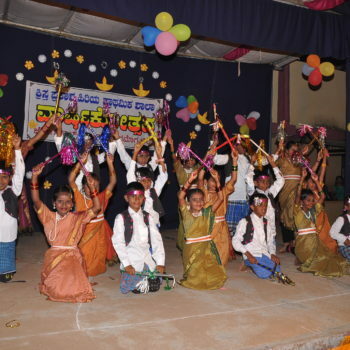 Christa Prakash School was started in the year 1967 at Kargal as the Power Project workers were concentrated in Kargal. The parish hall was used for taking classes. 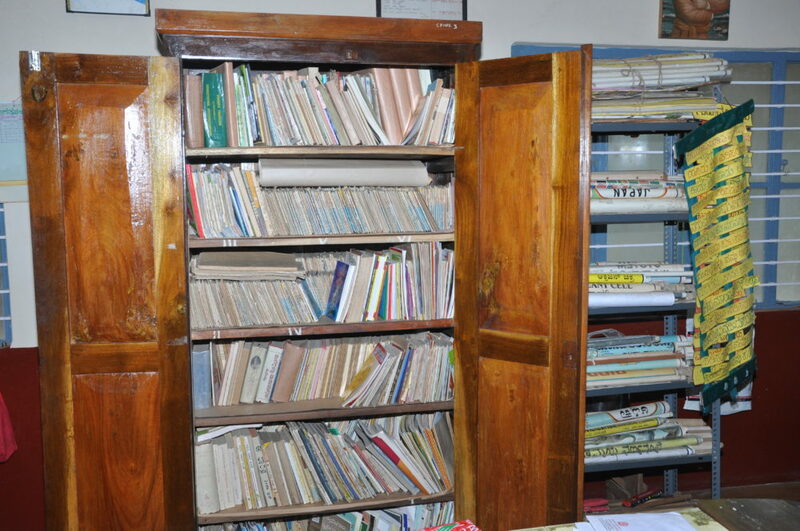 Sr. Millicent Pinto the first headmistress worked in getting departmental permission for a formal school which she succeeded in obtaining in the year 1968. 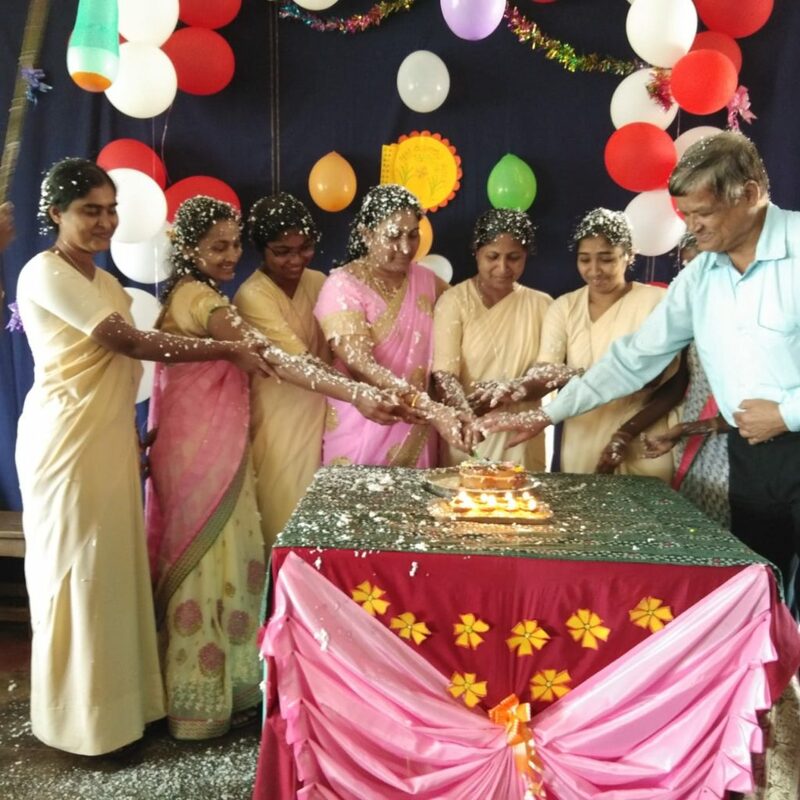 As the migrant workers at Kargal vacated the place in 1970 on the completion of the Project, the Sisters were shifted to Jogfalls and managed to procure a rent-free house from the Power Project. 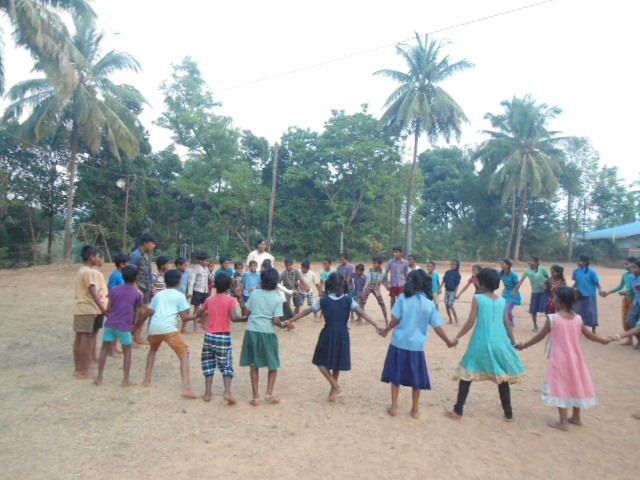 The school at Kargal was shifted to Jogfalls as well. 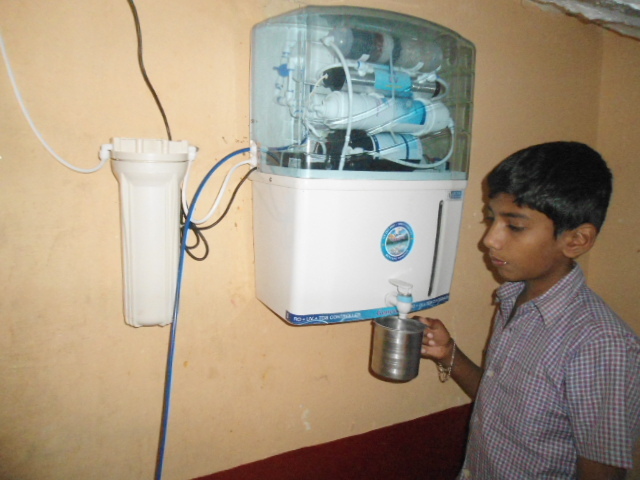 Christa Prakash School showed positive signs of progress within a short period. 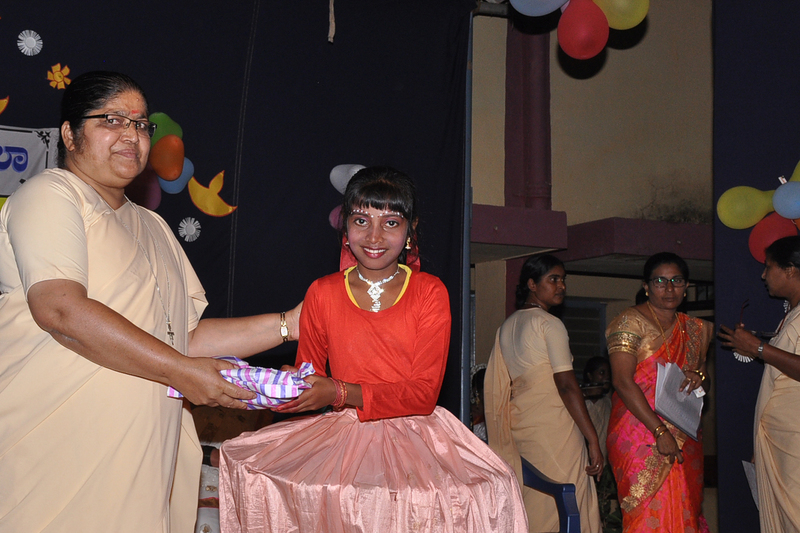 The Educational Department was impressed by the good work of the Sisters and offered financial aid to the School. 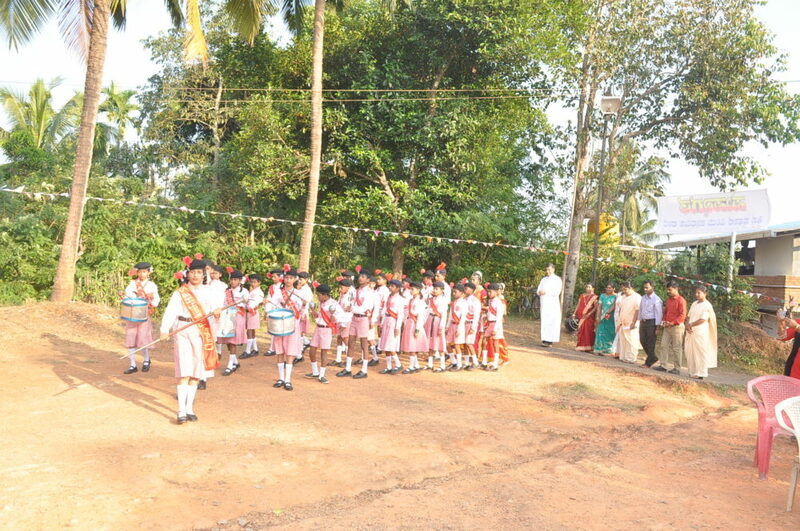 The strength of the School steadily grew as the people of the locality were happy about the Sisters and their work. 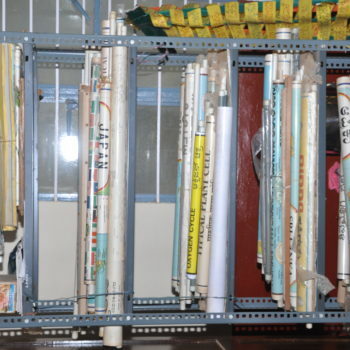 The land for educational purpose was leased out by the KEB then and now it is under KPC (Karnataka Power Corporation).The initiative to start the School was backed by S K Hanumantha Reddy, BE superintending Civil Engineer, Kargal and his assistants. 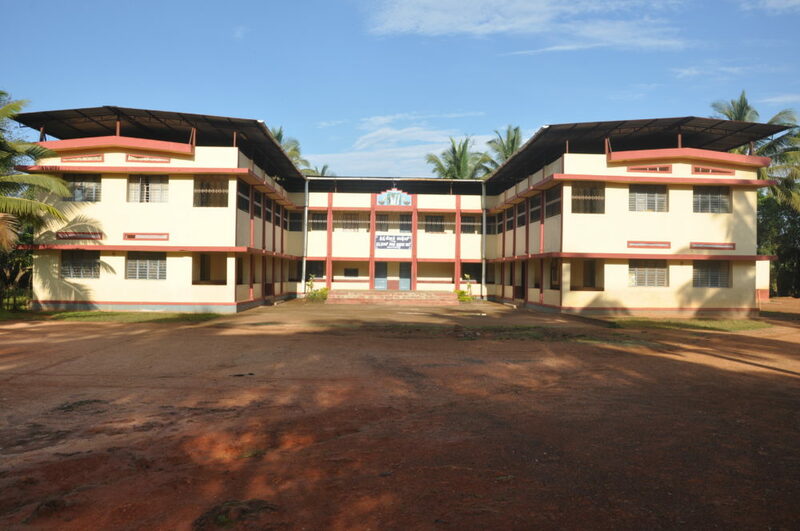 In 1987 at the intervention of Fr Mark D’Silva, the parish priest of Jogfalls, Sisters constructed a school building. The School excelled under the able leadership of the headmistresses in particular Sr. Millicent (1967-77, 1981-82) Sr. Christine D’Souza (1977-81), Sr. Clarita D’Mello (1982-88), Sr. Hildeguarde Rasquinha (1988-93), Sr Benvita D’Souza (1993-99), Sr. Monthi Lobo (1999-2005) and Sr. Carmella D’Souza (2005-11). At present SrJovita Vas is the headmistress of the School. 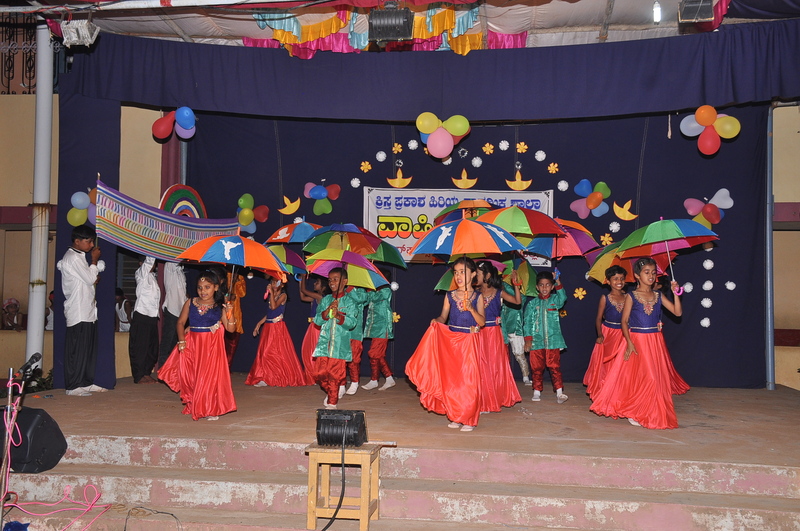 4,090 students have successfully completed their studiesin this school. Most of them have moved out of Jogfalls for better prospects. 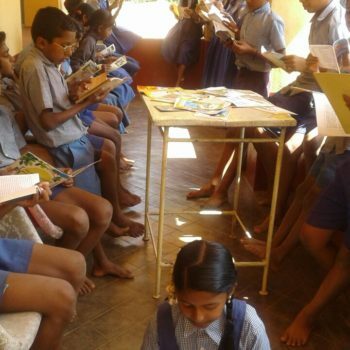 160 students are getting educated now in Christa Prakash School. In the recent years, demand for English medium has resulted in a drastic fall in the number of students. 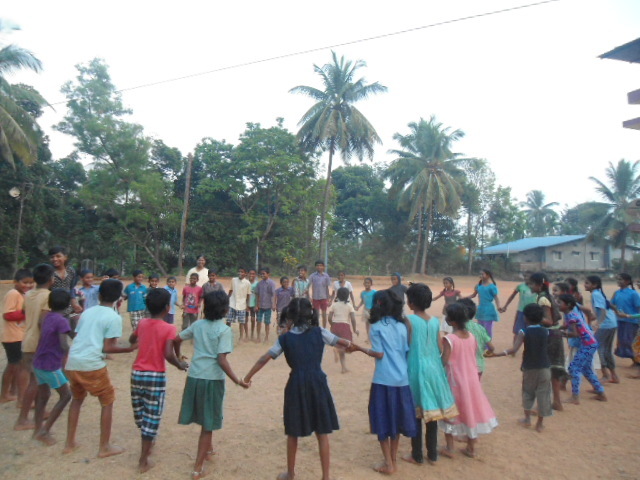 The Sisters have provided accommodation to 50 students from distant villages. 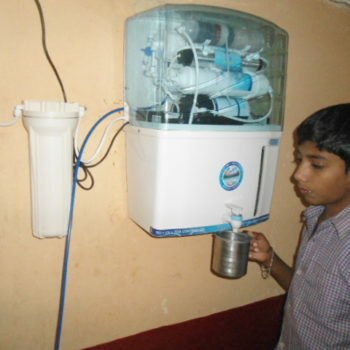 These children are economically backward and cannot get into a boarding school. 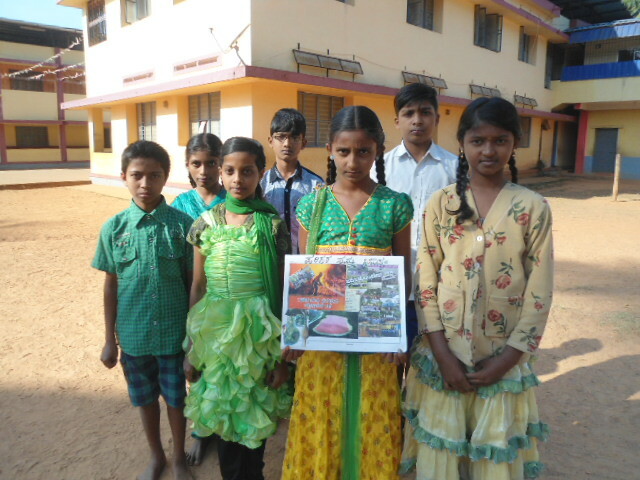 Generalate, Mysore Province and the Bishop of Shimoga Diocese are generous enough to support these children. 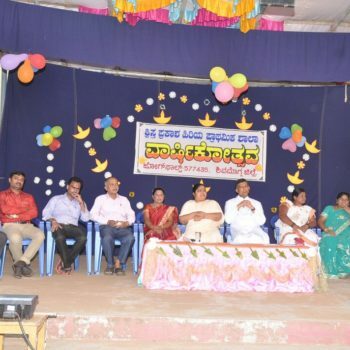 It is highly appreciable that the old students of the School Mr. Harish Gowda, President of Pattana Panchayath and Mr Shanmugam Narayana help the students of the School with books, uniforms and other necessities. The Institution is grateful to them for their love towards their Alma Mater. 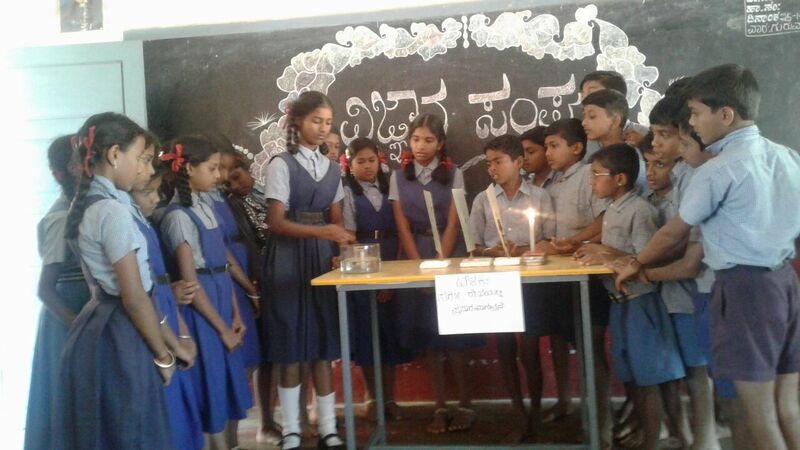 Good rapport between the Karnataka Power Corporation and the School is maintained. Christa Prakash has indeed been a ray of hope to the people of Jogfalls. 30.09.2018: 30th September was a unique day as 60 ICDP children of Sagara deanery were present in our school campus. 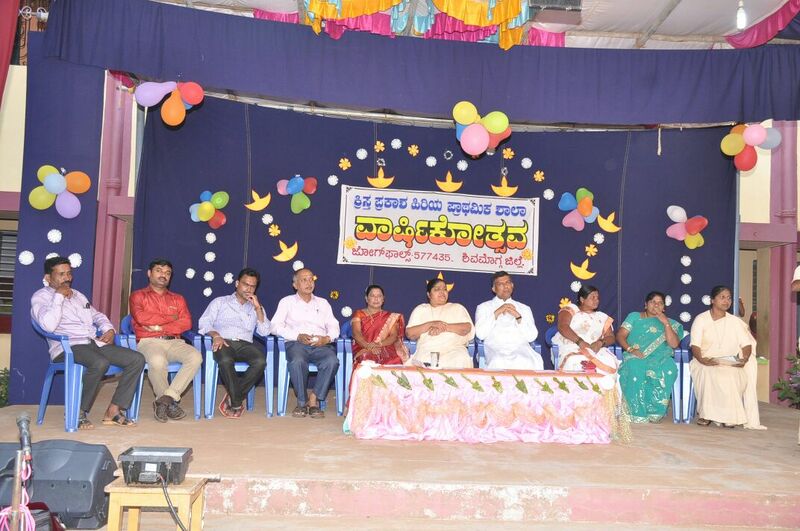 Director and staff from Shimoga appreciated the service given by our staff for their program. Parents also had an integral training on the same day. 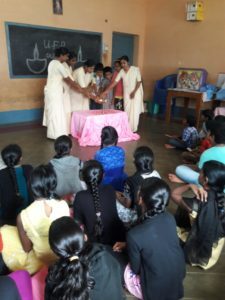 05.09.2018: UFB children’s were glad to join the shramadhana along with the parishioners in the surrounding cleaning of the church. 05.09.2018: Teacher’s day was celebrated with great enthusiasm and love by the students. 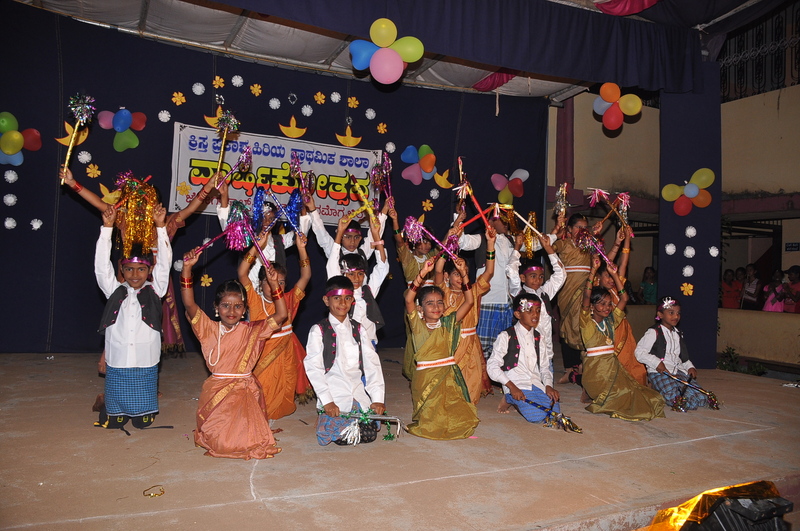 Students put up cultural program and offered gifts. 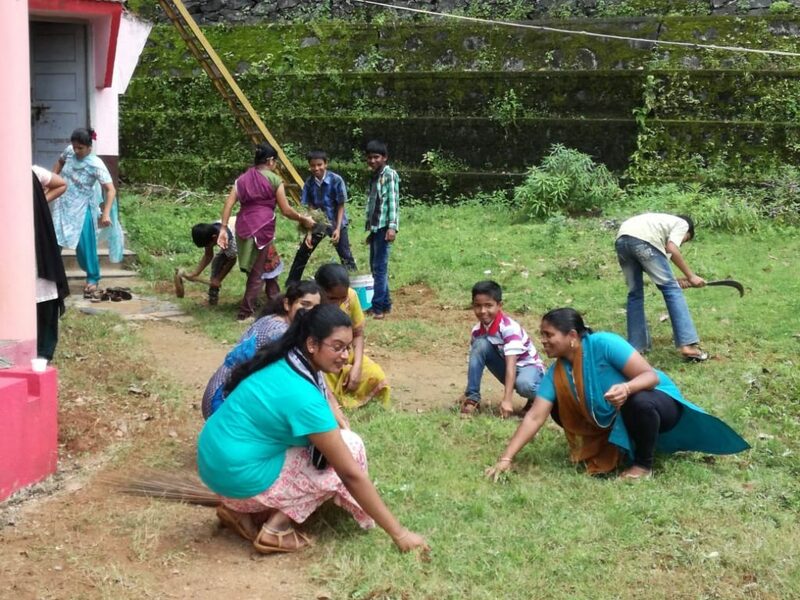 There were also entertaining games for teachers. 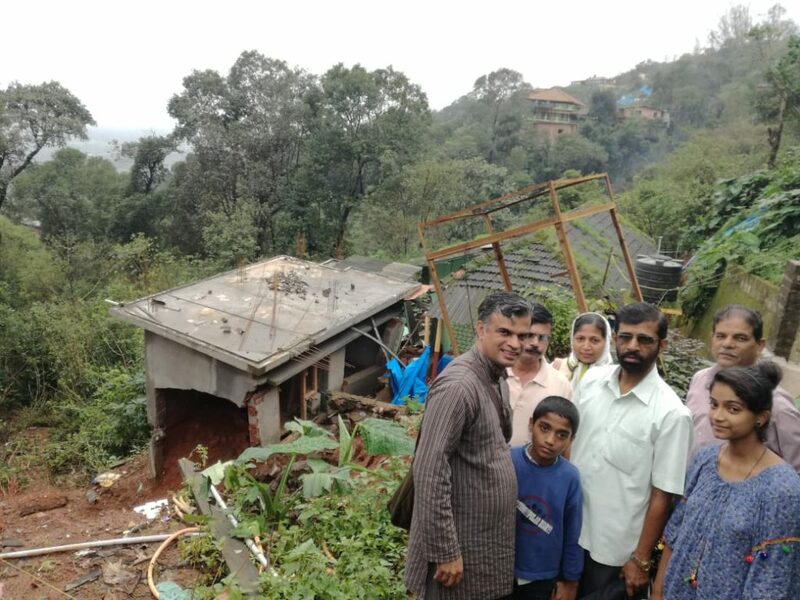 29.08.2018: Our staff, parents, and students sacrificed their might for the cause of flood relief at Kodagu. 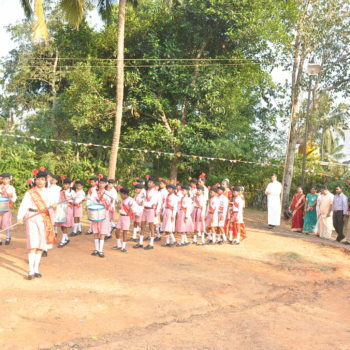 Head mistress and a UFB students represented in the visit to Coorg. 15.08.2018: Superior General Rev. Sr Susheela Sequeira graced the occasion of independence day as she was in her canonical visitation at jog falls she also met the staff and students UFLA & UFB. It was a moment of joy. We were enriched by her presence and experience. 21.07.2018: U.F.B Inauguration: 8 new students were initiated to U.F.B we had the inauguration and Oath taking ceremony. After the peace prayer everyone was given snacks. 09.07.2018: Mr Namrutha Vaidhya from K.P.C explained the skill of painting to our students. 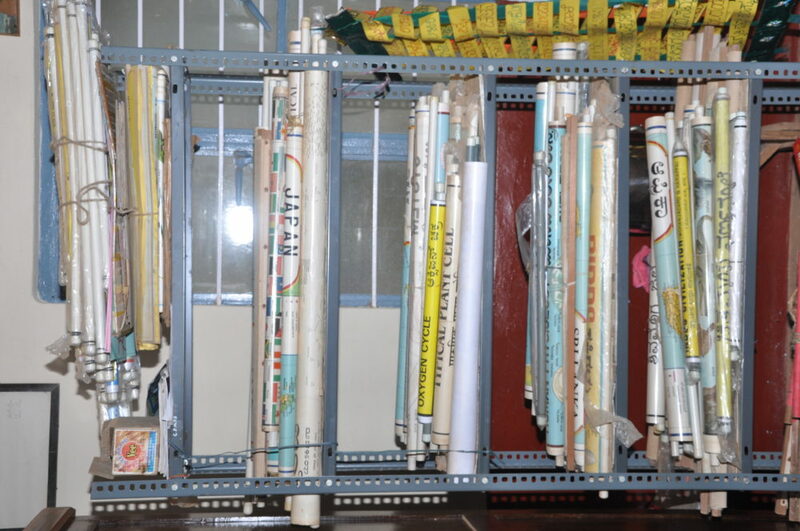 Many students also benefited of learning to paint.